It's Free Book Friday! This meme is weekly hosted by A Novel Idea , every week you post a free e-book . The idea is to review and/or present a free e-book that will include the following: A picture of the cover, Basic information (e.g. title, author, publication date, synopsis and a link to where you can find the book for download. Do keep in mind that I have no clue how long the e-book will be available for free. Perdita Rivers has spent her entire sheltered life being told what to do. Lately, she’s felt ready for a change and the universe seems to agree. Her new best friend’s brother is the boy of Perdita’s dreams. Literally. Even though he plays hot and cold, she’s sure there’s more to it, but she’s kind of distracted by the sense she’s being followed, not to mention the rumours of wild animal sightings that seem to mean more to her new crush’s family than they should. 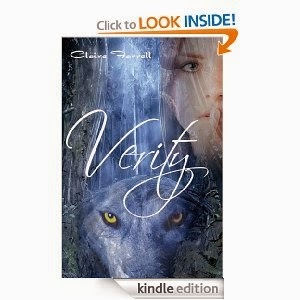 Perdy’s on a mission to find the truth, but maybe the truth is the danger she should hide from, after all. This is such a good idea from a meme, I'm always hunting out free ebooks to give a go! I downloaded this just then and I'm excited to read it.